Money flooded into sport in 2016 faster than ever before and flooded out in the shape of fatter salaries for the stars who have become multi-million business brands. 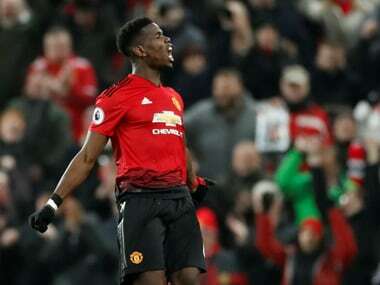 Paul Pogba's world record transfer to Manchester United set the tone for a year of big money deals that handed the French 23-year-old wealth beyond the dreams of most of his Old Trafford fans. 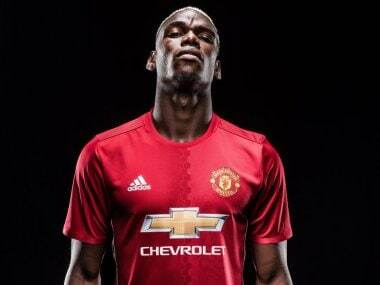 But even Pogba has got a long way to go to catch up with gold-plated stars like Barcelona's Lionel Messi and his Real Madrid rival Cristiano Ronaldo, the world's highest paid athlete according to Forbes, who banks just short of $1.7 million (1.6 million euros, £1.4 million) a week in salary and endorsements. 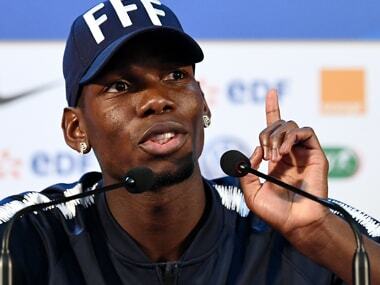 Pogba's five-year contract to join United may have raised eyebrows among football fans and critics but top-flight managers and sports business insiders had already priced-in mega transfer inflation. 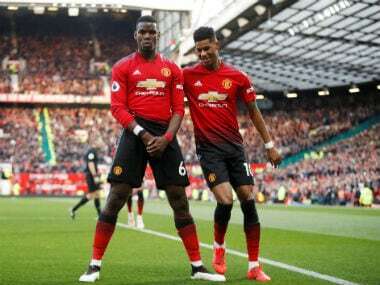 The explosion of TV rights made the Pogba contract possible, flooding the coffers of the English Premier League, making a mockery of economic austerity and the jobless queues. And the tide of high finance in sport did not stop there. TV income rose 40 percent for Germany's Bundesliga while the US NBA enjoyed a vintage financial year and Formula One motor racing attracted a multi-billion dollar US takeover bid. Three years after Welshman Gareth Bale set a world record transfer figure of 101 million euros (around £80 million) for his move to Real Madrid, Pogba upped the ante with his 105 million-euro transfer to Manchester in August despite his failing to set sparks flying for France in Euro 2016. 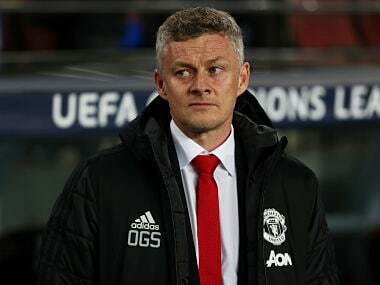 Former Manchester United manager Alex Ferguson told the Daily Mail that the moment the £8.3 billion ($10.75 billion, 9.6 billion euros) domestic TV deal covering 2016-2019 was signed between the Premier League and Sky Sports and BT Sport, "transfer values and salaries were going to go up." The result was not long in coming. Premier League clubs spent 1.38 billion euros during the 2016 summer transfer market window, 34 percent up on the previous year. The British game's star power also spilled over into foreign markets, where broadcast rights sell to the highest bidder. The biggest deal to date was signed in November with Chinese video streaming service PPTV for 600 million euros. Elsewhere in Europe the Bundesliga cashed in hugely with a TV deal worth 3.48 billion euros over the next three years, a near 40 percent jump on the past year. If economic hardship tightened the purse strings somewhat in some other parts of Europe, the cash flowed thick and fast in basketball in the United States, where TV income tripled and the sport generated global revenue of $5.2 billion (4.8 billion euros) with operating profit of $900 million, a record, according to Forbes. At the same time, NBA clubs saw their value rise by an average 13 percent with the New York Knicks topping the financial league at $3 billion. With TV income up sharply since last year -- and slightly higher than Premier League levels -- NBA clubs are pushing up salaries, with LeBron James of the Cleveland Cavaliers seeing his $23 million dollar paycheck boosted to $30.9 million for the 2016/17 season. Formula One was also a big winner in the financial stakes. The sport deemed to be in severe decline still managed to attract the high rollers with US firm Liberty Media, run by billionaire John Malone, buying out F1's parent company in a deal which values the sport at $8 billion. Formula One is gambling on gaining more exposure worldwide, including in the United States, hoping to generate an even wider revenue stream in the future. Logically, that will translate as even more money in the bank for the big stars.